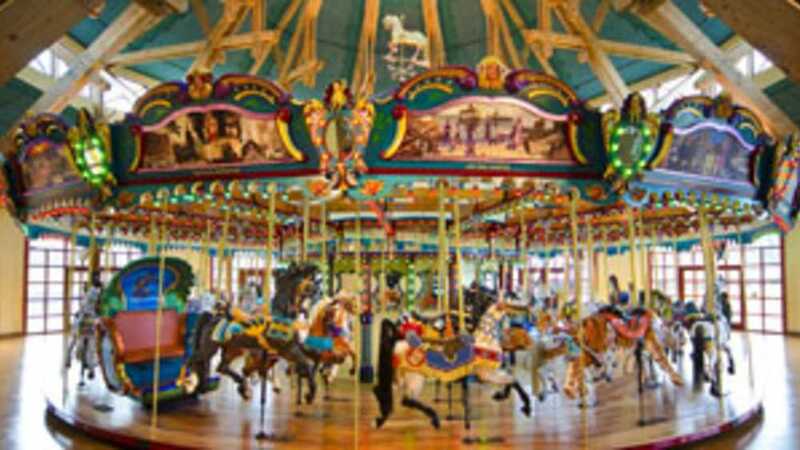 You’ll find all the magic and wonder of the Silver Beach Carousel below the bluff in St. Joseph, just yards from Lake Michigan’s Silver Beach, named one of the top 10 family beaches by Parents magazine. Open all four seasons, you can ride a different carousel figure or chariot every week and fill the year with a new memory each time. Our sea serpent chariot is wheelchair accessible so everyone can ride! Tokens are available for cash or credit card at the admissions desk or for cash from our token machine.